NEPTUNE – A church is many things. Churches are places of worship. They are community centers and gathering places. They represent Christian faith and our congregations. 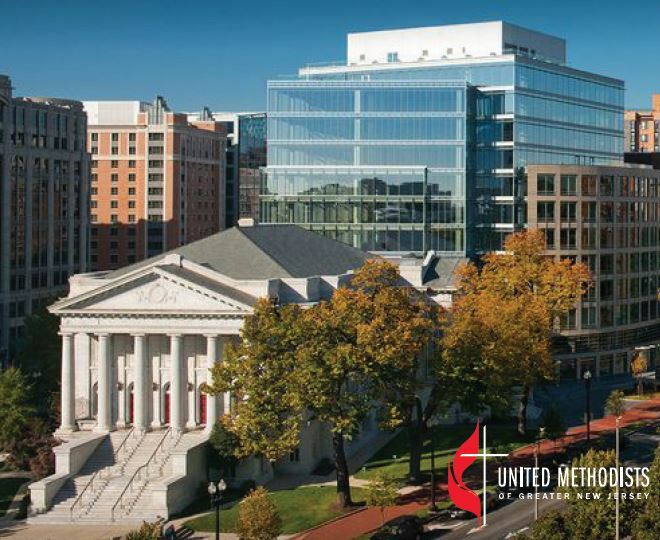 They can be beautiful, historic and beloved by generations of United Methodists who have called their sanctuaries home. These same churches can be old, in disrepair and underutilized. Their maintenance and repair can financially burden the congregations who use them for worship. They can become imposing monuments that are less than warm and welcoming to the community and their outdated facilities less desirable for the community and sometimes even impossible for the disabled and elderly. GNJ’s Board of Trustees knew that they needed to find solutions for churches who have struggled with the burden of their buildings. Taking a page out of the asset-based planning advocated by A Future With Hope, the Board of Trustees has organized Nehemiah Properties to help turn GNJ’s church buildings into financial and mission assets for our congregations. GNJ has more than 1,100 properties including churches, parsonages, fellowship halls and cemeteries. Some of these properties housed closed churches and currently sit vacant. Others are historic facilities that are in disrepair. Still others are underused and yet sit in the midst of communities in desperate need for the love of Christ. GNJ’s Property Management Team, under the direction of the Board of Trustees is in the process of establishing Nehemiah Properties to create mission opportunities, sustainable use and regenerative income from these valuable resources owned by GNJ congregations. Nehemiah Properties, a separate 501c3 nonprofit, will exist to help GNJ congregations repurpose their most valuable financial resources to expand mission and make disciples to transform the world. The process involves coordination with GNJ’s vital mission partners A Future With Hope and The United Methodist Stewardship Foundation of Greater New Jersey. Once a church identifies a vision to repurpose their property, they can call on these highly skilled professionals to help guide the process to see their vision bear fruit. A Future With Hope staff helps the congregation connect with the community to engage in mission needs and process, The Stewardship Foundation helps the congregation with financing and supporting the program through grants and fundraising and Nehemiah Properties will lead the redevelopment of the property working with architects, builders and permits. “We’ll work with your congregation, leaders, community, and local government to help you discern your property’s potential and the Foundation will help plan the funds,” said Rev. Clifford Still, Chair of the Board of Trustees. As part of legislation in the 2018 Annual Conference Session, the Board of Trustees submitted a relationship statement with Nehemiah Properties. If passed, Nehemiah Properties will become a vital mission partner, similar in scope to A Future With Hope and the United Methodist Stewardship Foundation of Greater New Jersey. These separate but related nonprofit organizations help GNJ fulfill and expand its mission while at the same time are self-funded, taking the management and financial responsibility of these efforts outside the shared ministry formula. Vacancies due to building damages in excess of the current structures’ value, unoccupied buildings resulting from mergers, change in demographics or movement in communities, and buildings that would better serve mission in a community through a different, more cost effective and sustainable use are all potential reasons for considering repurposing a church.